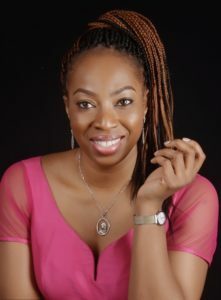 Nigerian scientist Obianuju Ekeocha never guessed that writing an open letter to Melinda Gates — wife of Microsoft Corp. founder Bill Gates — would put her on the course to becoming a human rights activist. Gates, wanting to “liberate” African women, was running a $5 billion contraception campaign targeting African countries. Indignant, Ekeocha realized that Gates didn’t understand the true needs of African women. Ekeocha explained to Gates about how contraceptives in Africa would open the door to increased infidelity, sexual promiscuity, and exponential spread of HIV and other STDs. 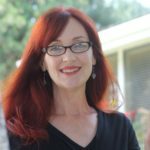 She told her that women didn’t need contraception and abortion; they needed things like better health care and higher education opportunities. Ekeocha knows firsthand how education can pull someone out of poverty. Her family overcame poverty because her grandfather borrowed 40 pounds so that he could send his son to school. Learning to read and write eventually led to Ekeocha’s father to earning a master’s degree in accounting from the University of Cambridge. This greatly improved his lot and the lives of his four younger brothers, compared to his father who eked out a living selling coconuts. In her recent book, Target Africa: Ideological Neocolonialism in the Twenty-First Century (Ignatius Press, 2018) Ekeocha expands on the ideas in her letter to Gates; and it’s an eye-opener. Target Africa is packed full of heavily researched information about how Africa is a target of elites, Western governments, and nongovernmental organizations who offer aid for humanitarian programs, but at a high price. The strings attached to African aide are population control, anti-life agendas, and the hyper-sexualization of children — all of which attack the core values of African society. Target Africa paints a clear picture for the reasons why Africa, replete with numerous natural resources, doesn’t come out of poverty and why “overpopulation” is not to blame. It doesn’t seem to matter what Africa wants or needs. Africa’s “betters” have chosen contraception and abortion for African women and their children. The bottom line is that outsiders are trying to shift the social mores of Africans. Ekeocha calls this push for the erosion of traditional morals “ideological colonialism”— when do-gooders and Western governments work to change the heart, mind, and soul of Africa. She demonstrates how Africans love their children, want husbands and wives to remain faithful, and want their children to embrace abstinence. They also support traditional marriage, and the majority of African women don’t want to prevent births or kill their children to rise out of poverty. A false picture of the African women — one of oppression and in need of liberation — has been painted. Ekeocha points out that since Africa’s independence, the continent has had seven women elected president and 12 female vice presidents. If you use those percentages this as a yardstick, then African women are trusted and respected more than women in the Western world. African nations receive around $43 billion in aid every year, but conditions are not improving. The problem is too many African leaders, swayed by greed, allow donors to throw millions of dollars at poverty, but in ways that are not fixing the problem. Ekeocha believes that Africa is addicted to aid, and it needs to stop taking it. I thought Target Africa was a fascinating read and I finished it in one afternoon. The book sheds new light on Africa’s old problems and looming ones. Ekeocha also offers solutions to the problems. But who’s going to make corrupt officials and those with unethical agendas listen? 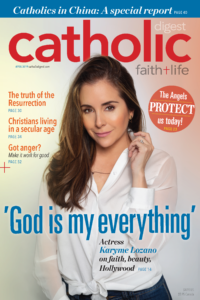 EDITOR’S NOTE: Check out the October 2018 issue of Catholic Digest with Lori Hadacek Chaplin’s interview of Ekeocha.